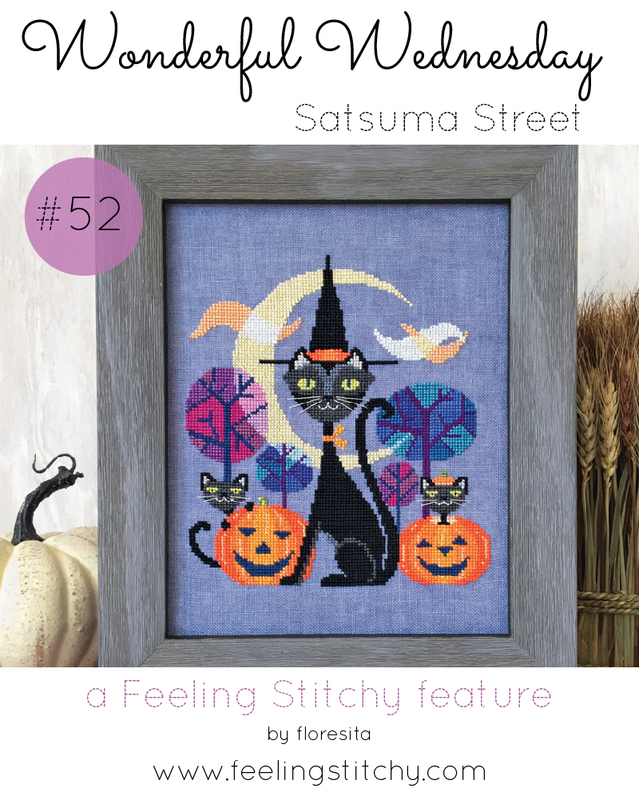 I am absolutely charmed by this witchy Halloween Cat Cross Stitch Pattern by Satsuma Street. And I apologize, because there's probably no way (unless you went on a total stitching bender) that you could have this done by Halloween. But you could just grab the pattern and be all set for next year!